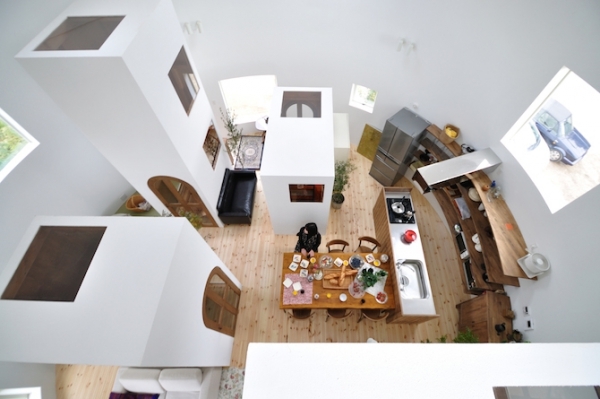 The majority of most houses have a particular shape and form. 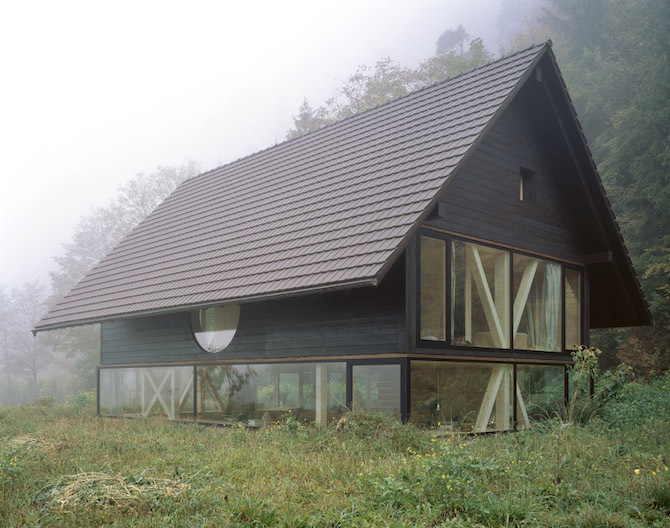 We are all familiar with the typical house styles that incorporate square designs and rectangular aspects. 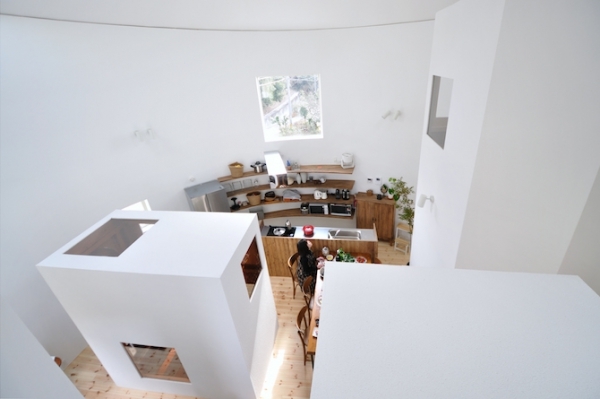 But what if your wits were challenged by living in a home that was circular in nature? 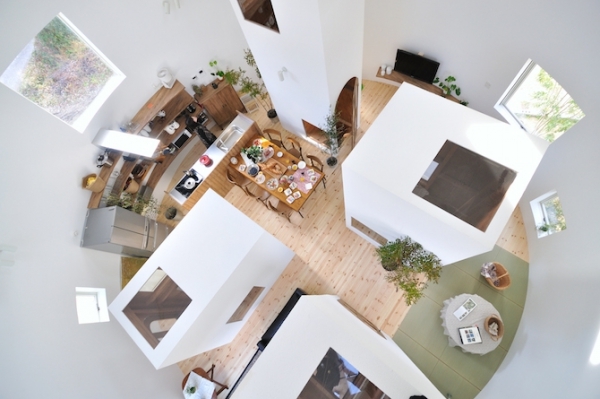 In Chiharada, Japan is a unique tower house that always encourages constant energy flow. 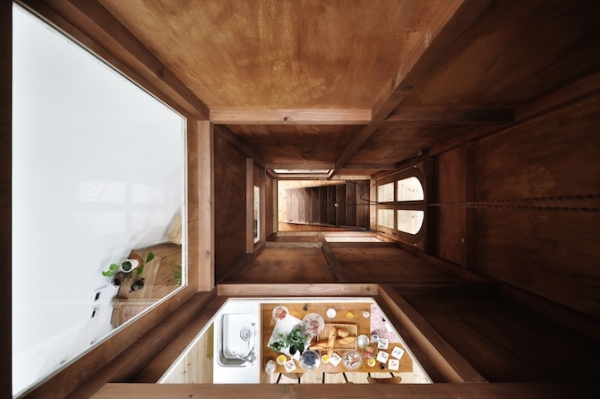 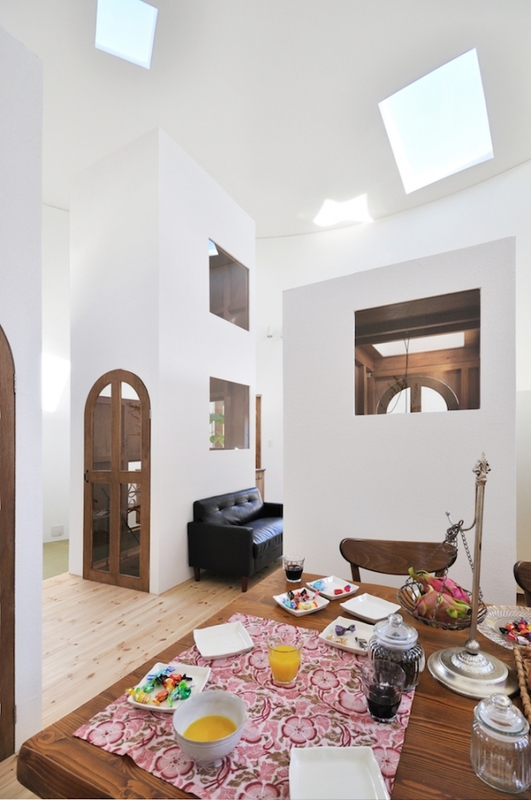 This unique tower house was designed by Studio Velocity, a Japanese architecture company that specializes in groundbreaking designs. 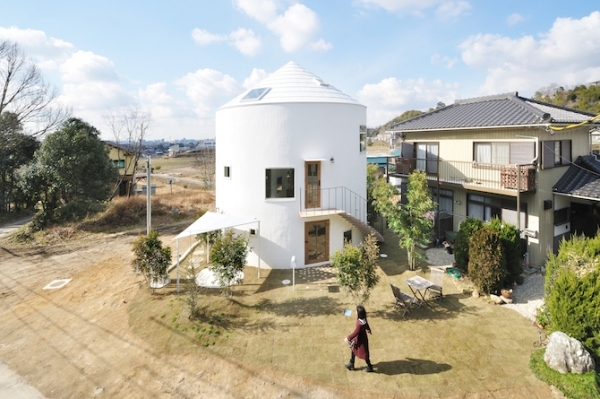 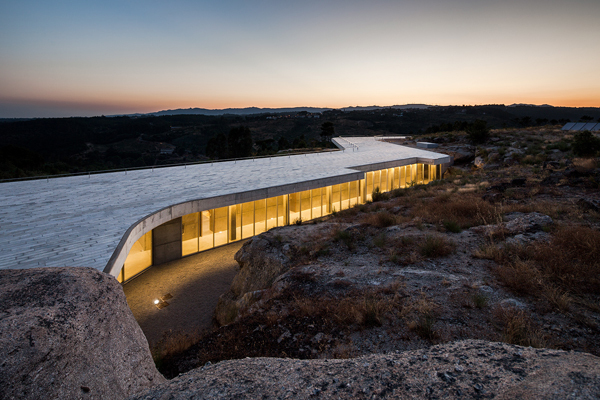 The inspiration behind this cylindrical home came from the fact that something a little more compact was needed, as the home was set to be built in close proximity to a traditional home next to it. 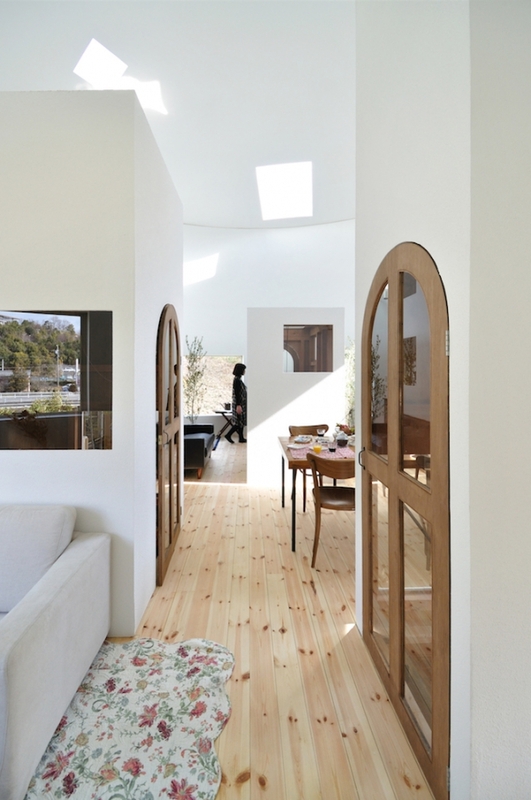 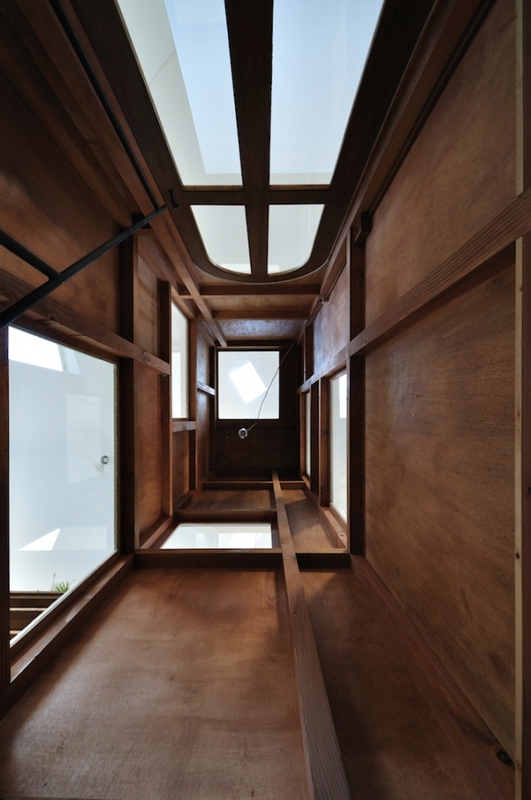 One of the main architects, Miho Iwatsuki, described the separation of its two floors as “a mix of individual functions and sceneries”. 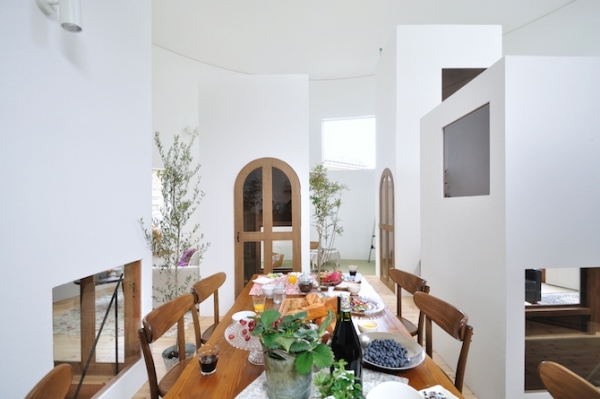 On the top floor is a kitchen and dining room area that works quite well with the space provided. 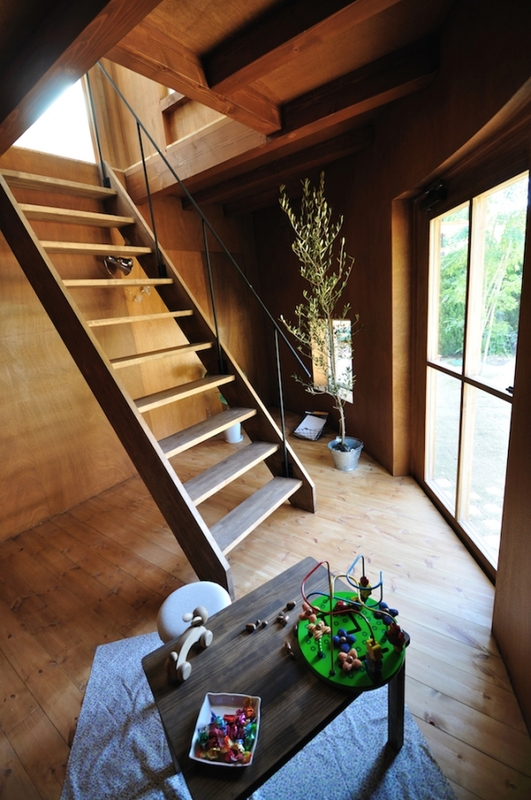 This area flows into the enclosed staircases that lead to the bottom floor, which includes the bedrooms. 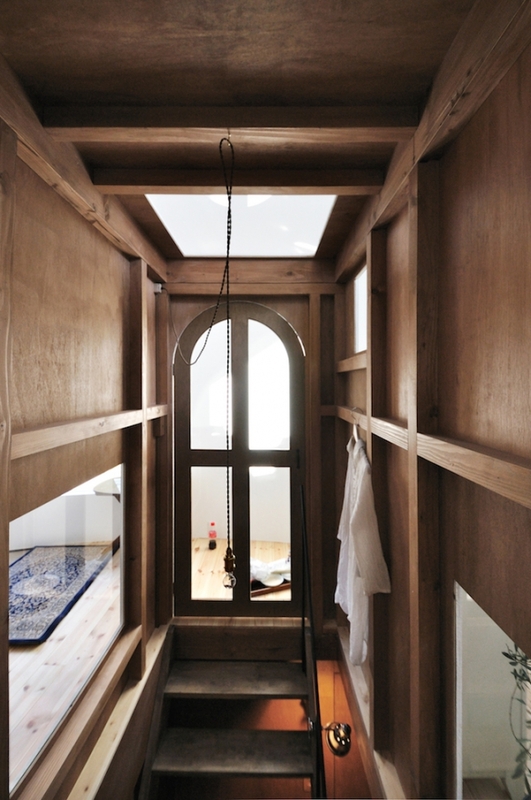 The décor of this unique tower house is kept simple with polished wood accents present in the doors and furniture. 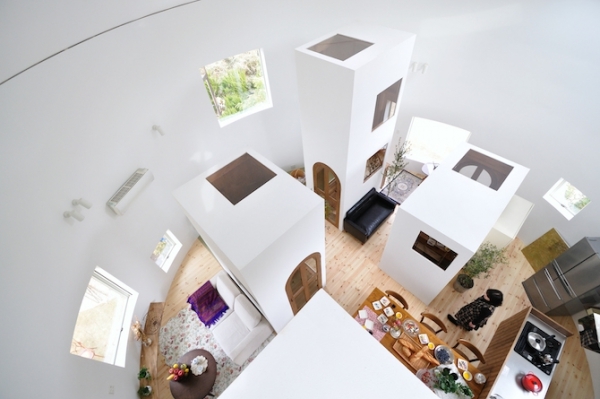 A circular home that maximizes space in such a distinctive way is sure to enhance your living experience!